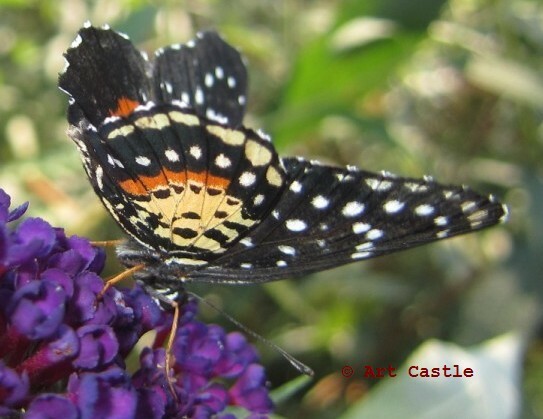 Identification: Upper and lower sides of forewing are black with small white spots. 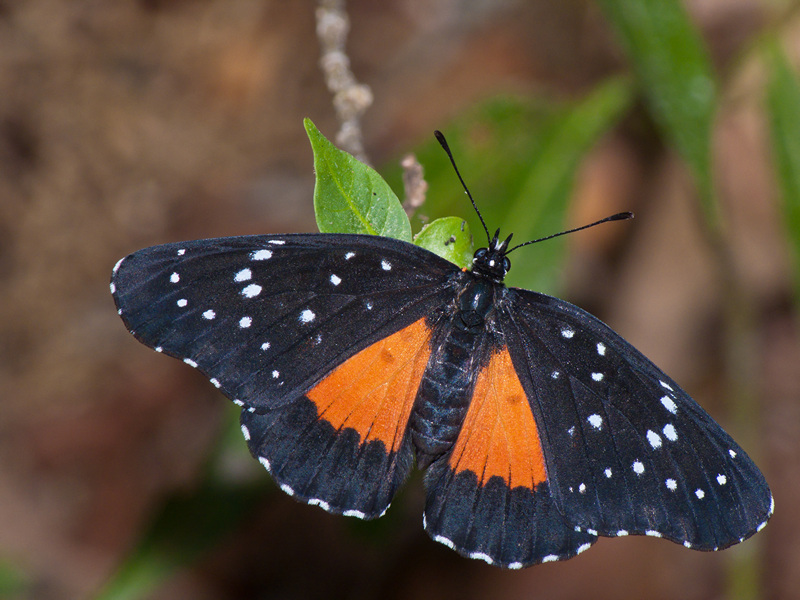 Upper hindwing is black with large orange-red patch on the basal half. 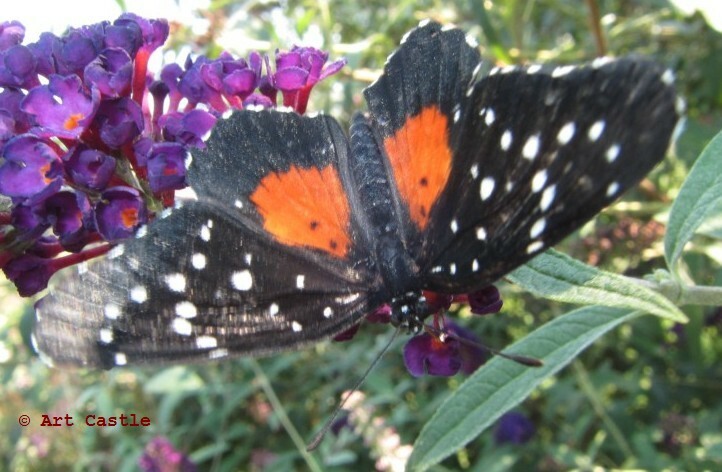 Lower side of hindwing has an orange-red postmedian band that does not extend to margins of the wing. Wing Span: 1 7/8 - 2 5/8 inches (4.8 - 6.7 cm). 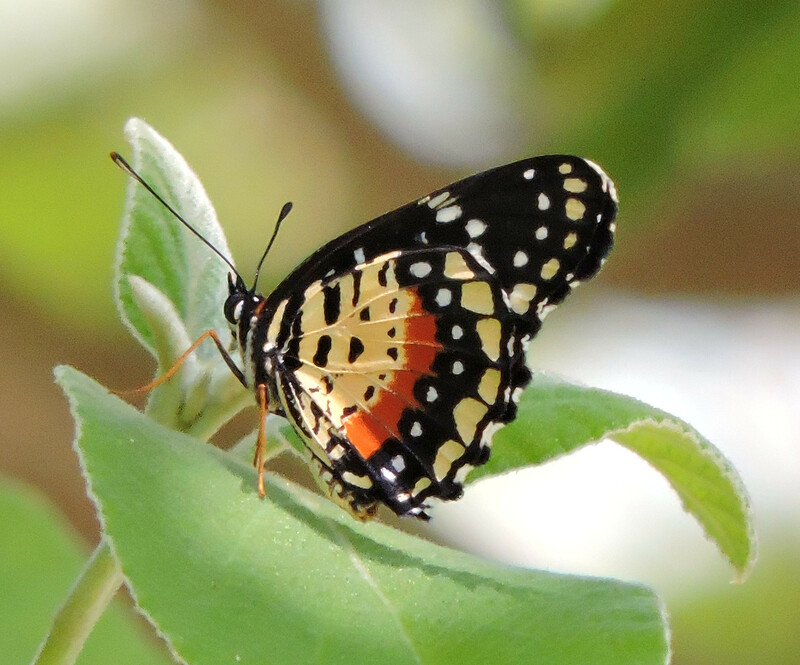 Life History: Eggs are laid in groups under host plant leaves. 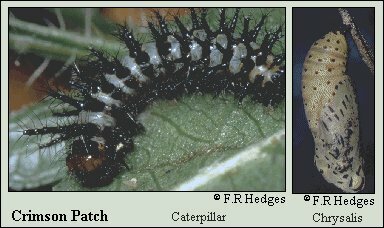 Caterpillars feed on the undersides of leaves; younger caterpillars feed gregariously. Flight: Several broods in South Texas from July-November, all year in the tropics. Caterpillar Hosts: Scrubby plants in the acanthus family (Acanthaceae) including Anisacanthus wrightii in Texas. Habitat: Lowland tropical forest edges and fields. Range: Colombia north through Central America and Mexico to South Texas. Strays to north Texas and southeastern New Mexico. Conservation: Not necessary for sporadic resident. 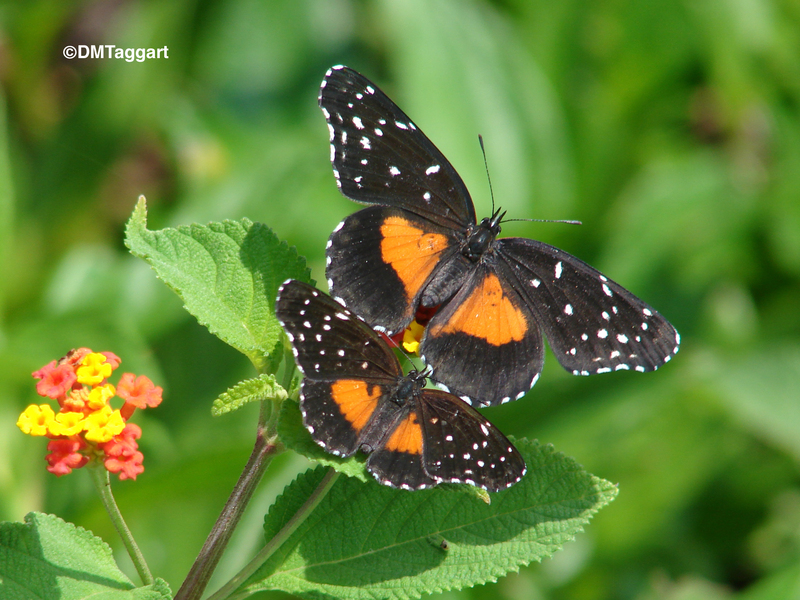 Management Needs: Provide host plant patches in refuges and parks along the lower Rio Grande Valley, Texas.